Bea Maddock is one of Australia’s most influential contemporary artists. Her most recent works often consider place and memory, importance of the land, and the way Australia remembers and preserves multiple views of history. Nowhere are these themes more evident than in her piece “Terra Spiritus…with a darker shade of pale” at the National Gallery of Victoria in Melbourne. This tour de force depicts the entire Tasmanian coastline as viewed from the sea. English place names are printed in bold to claim ownership while indigenous place names float out over the sea in script to suggest an ancient presence. 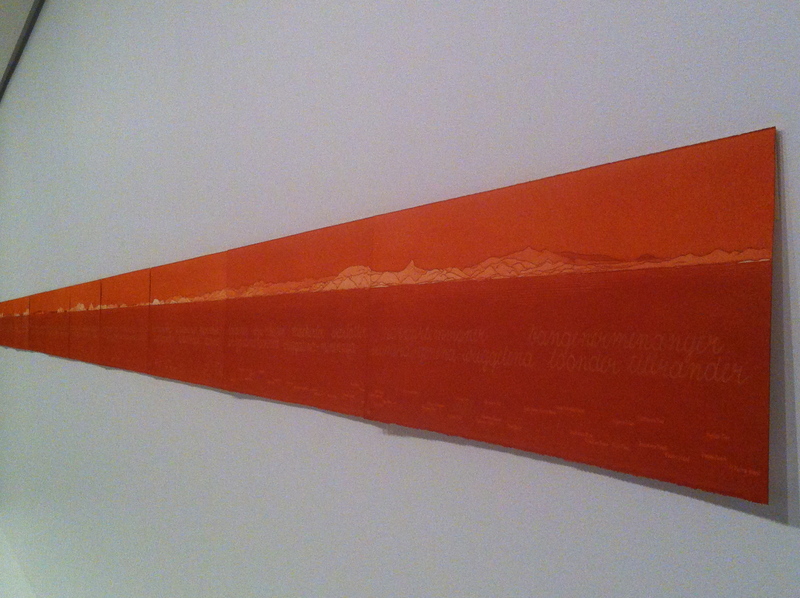 Painted between 1993 and 1998,”Terra Spiritus” also reflects the artist’s more contemporary displacement. Maddock had recently lost her home and studio to bushfire when she joined a small Antarctic expedition and became deeply moved by the Tasmanian landscape from a distance. 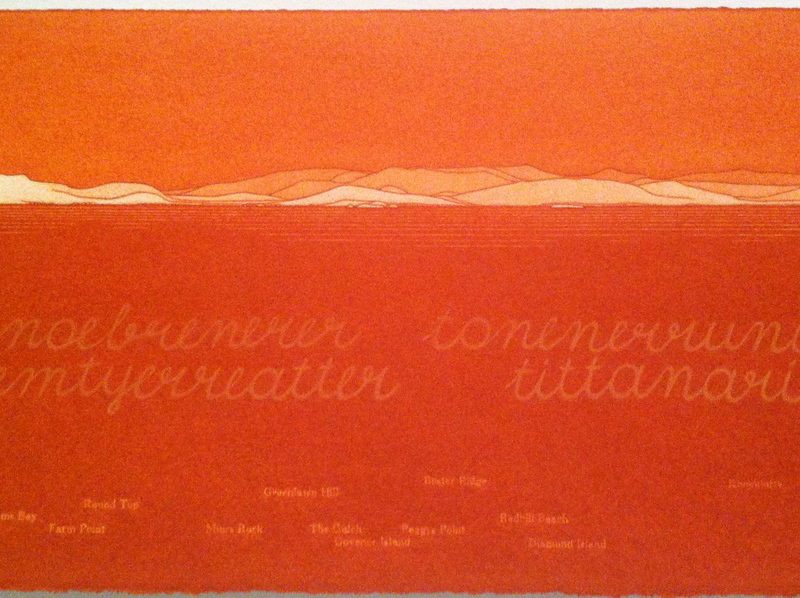 The artist used earth pigments and blind letterpress to create the work on 52 total sheets. Sheet 1/52 starts at South West Cape, where records suggest Tasmanian Aboriginals sighted European ships for the first time. The deeps reds come from red ochre – a pigment sacred to indigenous communities. Maddock mined the pigments herself, then ground them up and shaped her drawing sticks. Measuring 40 meters or approximately 130 feet when installed, “Terra Spiritus” is considered the culminating piece of Maddock’s career and an important symbol toward recognition and reconciliation in Australia. ← Does the President Have the Authority?